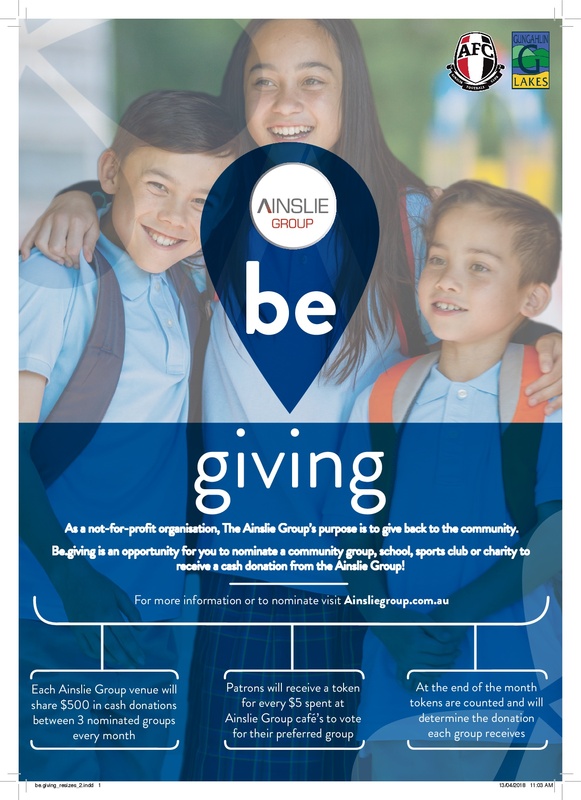 Majura is part of the Ainslie Group’s be.giving fundraising initiative for May. 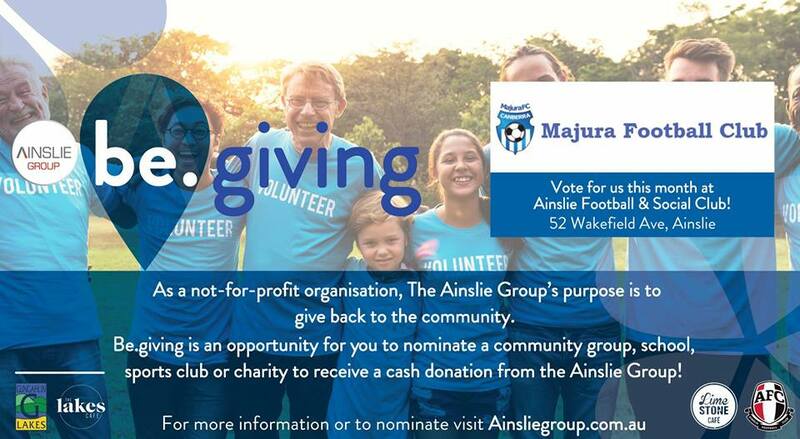 You’ll receive a token for every $5 spent at cafes and restaurants at the Ainslie Football & Social Club or Gungahlin Lakes Club which you can use to vote for Majura’s Parkin Fund, which supports disadvantaged and refugee children play football (real football ⚽ 😉). They’ve got plenty of dining options so please do us both a favour and head into one of their venues to enjoy a meal and save yourself the hassle of cooking, washing up etc, while helping out a great cause.